DULUTH, Minnesota–A paper published this week in the journal Limnology and Oceanography Letters is the first to show that lake size and nutrients drive how much greenhouse gases are emitted globally from lakes into the atmosphere. "Our research pioneers a new way of determining the global atmospheric effect of lakes using satellite information on lake greenness and size distribution," said co-author John A. Downing, University of Minnesota Sea Grant director and professor of biology at the University of Minnesota Duluth. "This is important because the world's lakes and surface waters will emit more greenhouse gases as they become greener and more nutrient-rich." Greenhouse gases released into the atmosphere drive global climate change. Although carbon dioxide is the most well-known greenhouse gas, methane and nitrous oxide, which are also emitted from lakes, could be far more devastating because they have much greater warming potential. 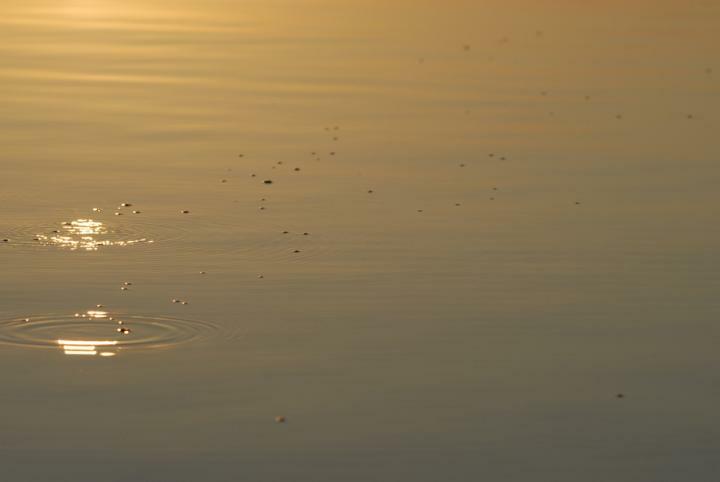 "Our work shows conclusively that methane, which is emitted from lakes in bubbles, is the dominant greenhouse gas coming from lakes and surface waters globally," said lead author Tonya DelSontro, now a researcher at the University of Geneva. "The greener or more eutrophic these water bodies become, the more methane is emitted, which exacerbates climate warming." Green lakes result from excessive fertilization by nutrients, such as phosphorus and nitrogen, and when sediment accumulates in lakebeds. Such "greening" is called eutrophication. "Our research team assembled the largest global dataset on lake emission rates of carbon dioxide, methane and nitrous oxide," said Downing. "When we analyzed the data, we found that emissions of greenhouse gases to the atmosphere were influenced by the amount of eutrophication but also that lake size matters a lot for carbon dioxide and nitrous oxide." If the world's lakes and other surface waters become more eutrophic it could negate the reductions that society makes by reducing fossil fuel emissions. "We need to know how much of these greenhouse gases are being emitted to be able to predict how much and how fast the climate will change," said DelSontro. "This paper is significant because we developed a more effective approach to estimate current and future global lake emissions." The authors point to four key advancements that enabled their results to be more accurate than previous estimates: Recent advances in satellite and sensor technology, availability of detailed geographical data on lakes, an increasing number of global lake observations and improved statistical survey designs. "Even moderate increases in lake and surface water eutrophication over the next 50 years could be equivalent to adding 13 percent of the effect of the current global fossil fuel emissions," said Downing. "By keeping our community waters clean, we make better water available to future generations and we decrease worldwide emissions of methane that speed climate change." Contacts: John A. Downing, Director, Minnesota Sea Grant; Professor of Biology, Department of Biology and Scientist, Large Lakes Observatory, University of Minnesota Duluth; [email protected], 218-726-8715. Tonya DelSontro, Maître Assistant, University of Geneva, [email protected], +41 22 379 03 12. As a signatory to the 1992 United Nations Framework Convention on Climate Change, the United States is obligated to report the nation's anthropogenic greenhouse gas emissions every year. This research reported in this paper provides a methodology for estimating the magnitude of methane emissions from water bodies confined within an enclosure such as dams and reservoirs (i.e., impoundments), which have not previously been reported by the U.S. Environmental Protection Agency. The research reported here will improve the accuracy of the nation's greenhouse gas inventory and can inform better mitigation strategies.